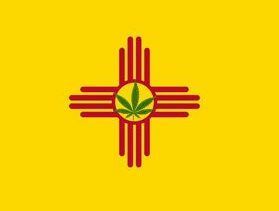 Marijuana is legal to registered patients in New Mexico, but is still illegal for recreational use. For anyone looking to come to California who’s in need of a Medical Marijuana Card, book an appointment and have a chat with Leafwell online. With a Medical Marijuana Card you can carry up to six ounces of medical cannabis (or more if authorized by your physician) and cultivate up to 16 plants (four mature, 12 immature). Under the law in New Mexico (which is pretty strict without the protection of medical registration) you could be charged with a $50-100 fine and up to 15 days in jail, for possession of one ounce of less. Telehealth/telemedicine available. However, relationship must first be established between patient and physician in-person. New Mexico has the widest range of telehealth/telemedicine services in the US. 8 ounces over a 90-day period. 2007 – “The Lynn and Erin Compassionate Use Act” is approved, removing state-level penalties for those who need to use marijuana for medical purposes. This established a Patient Registry Program. Home cultivation of up to 16 plants (4 mature, 12 immature) may be grown if patient has the appropriate license. Qualifying patients may carry up to 8 ounces of cannabis for their own personal use. Patients must be aged 18 or over in order to apply and qualify for medical marijuana for themselves. Those without a medical marijuana card and in possession of 1 ounce or less may get up to 15 days’ incarceration and/or a fine of $100. A second offense could bring up to one year imprisonment and a $1,000 fine (same with possessing between 1 and less than 8 ounces). These are all misdemeanors. Possession of 8 ounces or more is a felony, and carries with it up to 1.5 years incarceration and/or a fine of $5,000. This is similar to distribution of 100 pounds or less of cannabis for a first offense. Cultivation of any amount without a license is a felony, with 9 years incarceration and a $10,000 fine. Sentence and fine is doubled for any subsequent offenses, or if within a school zone. Possession of hash or concentrates is a misdemeanor, and can land one in jail for up to 1 year and a $1,000 fine. Distributing or making hash or concentrates is a felony, with up to 3 years’ imprisonment and a $5,000 fine. Possessing or distributing paraphernalia is a misdemeanor, with up to 1 year imprisonment and a $100 fine. Driving licenses may be revoked upon conviction for those aged 15 or older.